La fourmi ailée – cheap and cheerful in Paris! On the left bank near Notre-Dame in the heart of tourist territory, just round the corner from a whole batch of these awful restaurants with waiters outside trying to entice you in, you will find La fourmi ailée– the flying ant (8 rue du fouarre 75005), which is an entirely different proposition. It has been refurbished recently, and I am not so keen on the new decor (changed from looking like a cosy old library to a more modern diner style), but everything else is as good as it has always been. The clientele are still mainly students and canny tourists. 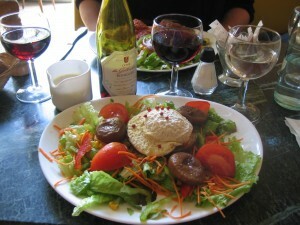 The food is fresh and plentiful, and shock horror for Paris, the staff are friendly. Very suitable for taking your Vegetarian friends. 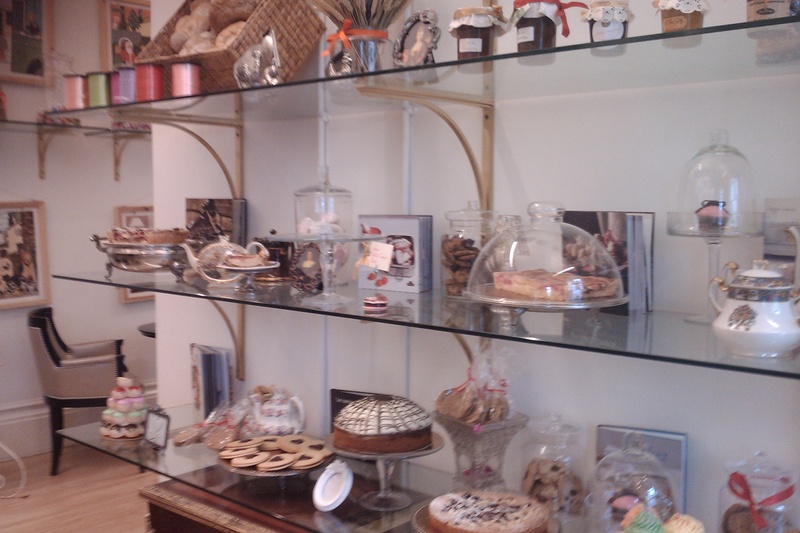 It is also a Salon de thé, providing you with a good venue for relaxing over tea and pâtisseries. Author No ExpertPosted on May 9, 2009 August 10, 2018 Categories Coffee Tea and Cakes, France, Inexpensive, ParisTags La fourmi ailée, VegetarianLeave a comment on La fourmi ailée – cheap and cheerful in Paris! Unless you are in an area that specialises in Tea Shops, its often hard to find good venues to relax with a coffee or tea and eat cake. Why go to the big chains like Starbucks, when you have alternatives. If you really want to go up market and have Afternoon Tea somewhere grand, like The Athenaeum or The Berkeley, then great, but if you are looking for something cheaper, then here are a few options. Design Museum – they sell Konditor & Cook cakes, always a good sign. Cafe Sabarsky – Tucked away within the Neue Gallerie in Upper East Side, great for Viennese pastries. La fourmi ailee– Salon de thé. or for a not so inexpensive option, visit Ladurée. Off topic, but also worth mentioning is The Chocolate Consultancy – Parisian Chocolatiers Map showing locations of some really good Chocolatiers in Paris.